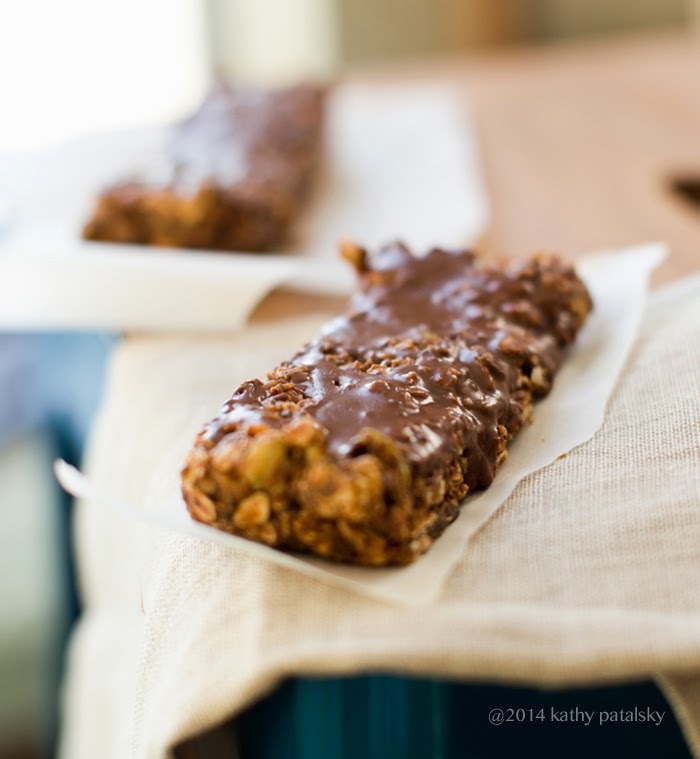 It is a chocolate-dipped sort of week here on HHL! 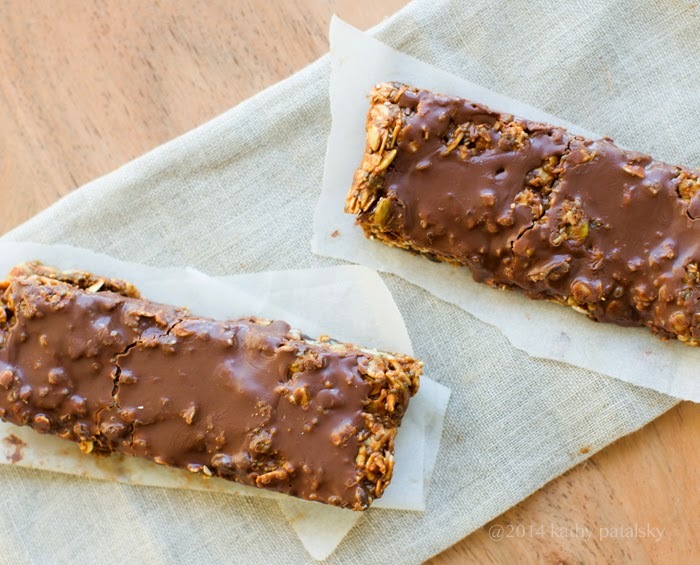 First I whipped up some yummy chocolate-dipped ice cream bars and now I'm onto some super easy, super cravable, super everything "kitchen sink bars" .. aka my No-Bake Double Chocolate Super Amazing Granola Bars. And I made another video. I am addicted to video making once again. It is just so fun and I love chatting with you guys face to "face!" Get the recipe and video..
Watch my how-to video for tips and a look at me making this exact recipe. Plus some fun like a bonus kitty clip at the end. 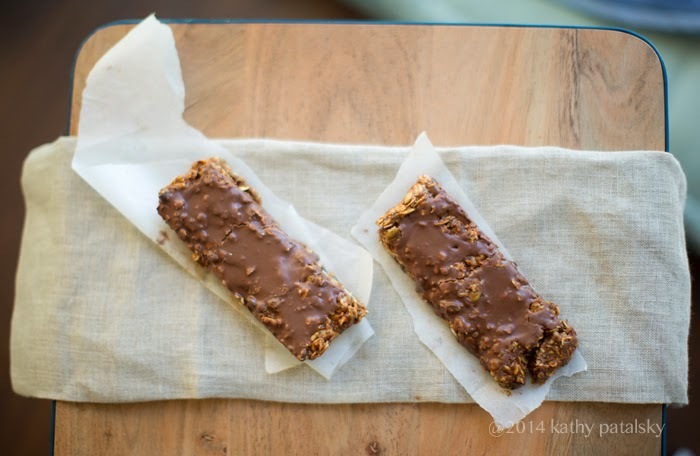 These kitchen sink bars are fun to make and very forgivable. 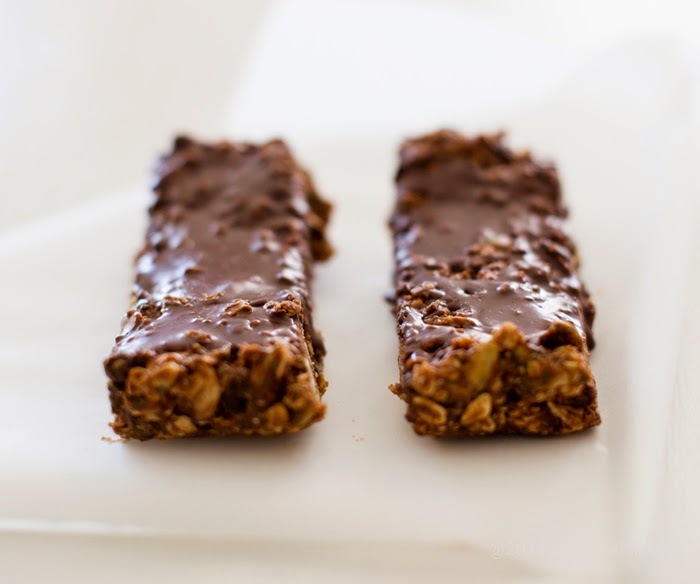 Adding a bit more or a bit less of each ingredient or changing the ingredient altogether is totally approved for this recipe. So get creative, use what is in your kitchen and pantry and have fun. Watch first then grab the complete recipe below! -- adjust the settings to watch in 720p HD for best viewing! 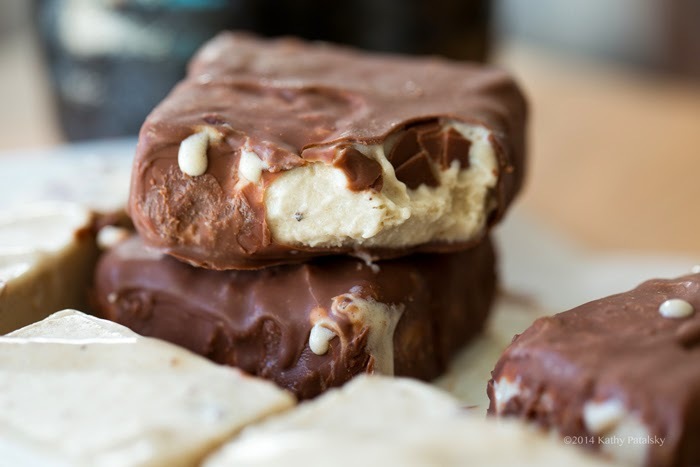 Another form of chocolate-dipped fun: chocolate-dipped ice cream bars! 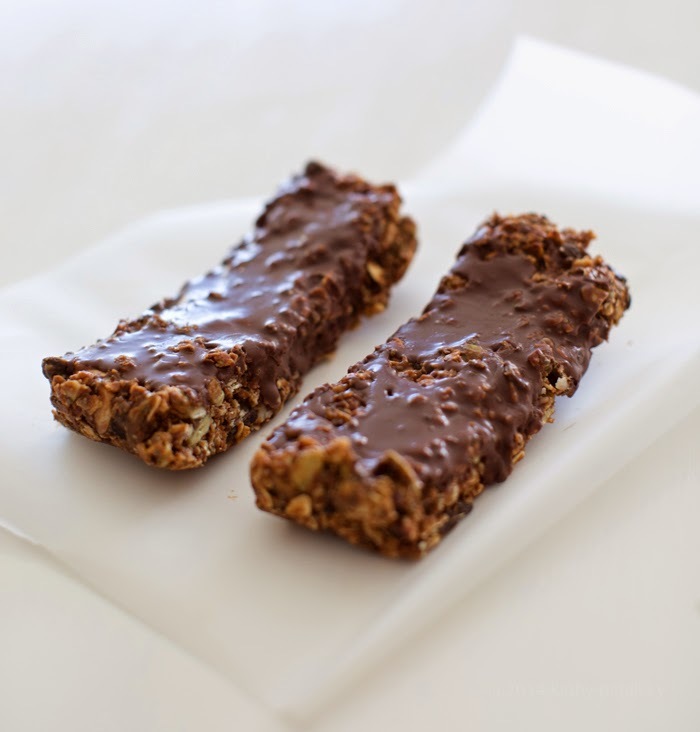 vegan style..
Chocolate-infused no-bake granola bars made using rolled oats, nuts, seeds and natural sweeteners like maple syrup! Add all the ingredients to a large mixing bowl and blend well until combined. Line a small casserole or baking dish with parchment paper. 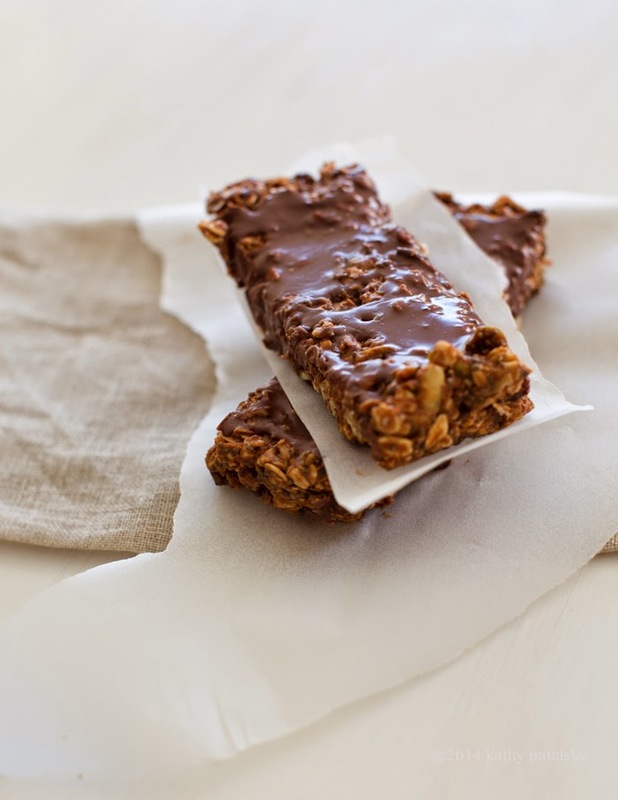 Spread the mixture over the parchment paper and flatten with a spatula to smooth. Place the dish in the freezer for at least 20-30 minutes to chill. 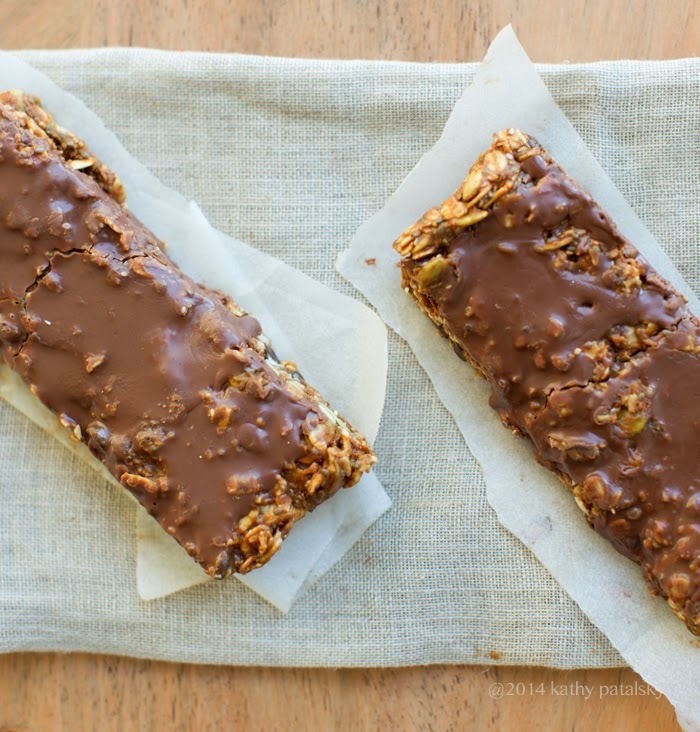 Warm the chocolate drizzle mixture in the microwave or stovetop - stir until silky and liquid. About 60 seconds in the microwave is the fast way - simmer on the stove or over a double broiler for the longer way. 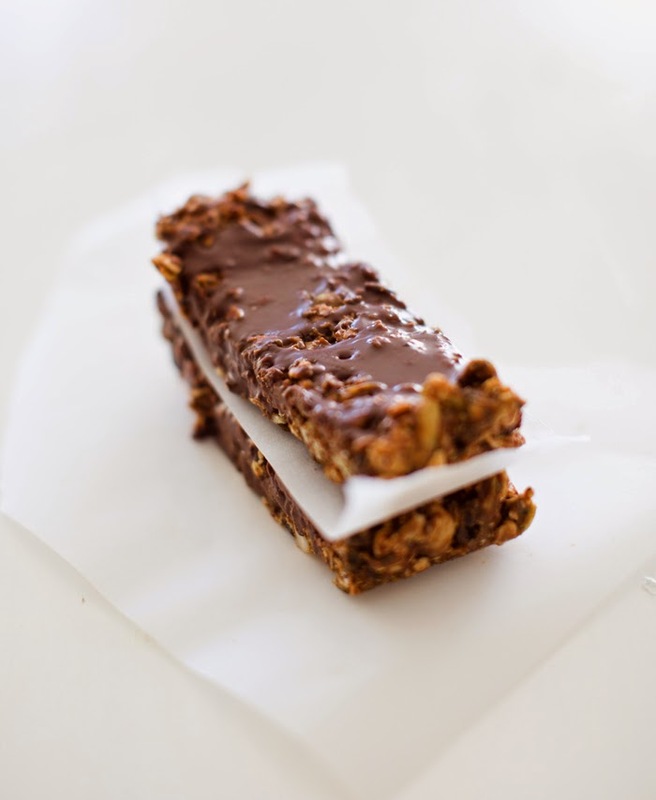 Pull the bars and drizzle or pour the chocolate over top. The chocolate will firm up from the cold bars. Slice and serve or store. Store in the freezer or fridge.